Thunder Power TP1430C Charger « Big Squid RC – RC Car and Truck News, Reviews, Videos, and More! Hitec isn’t the only company at IHobby that has a new ultra mega super charger. 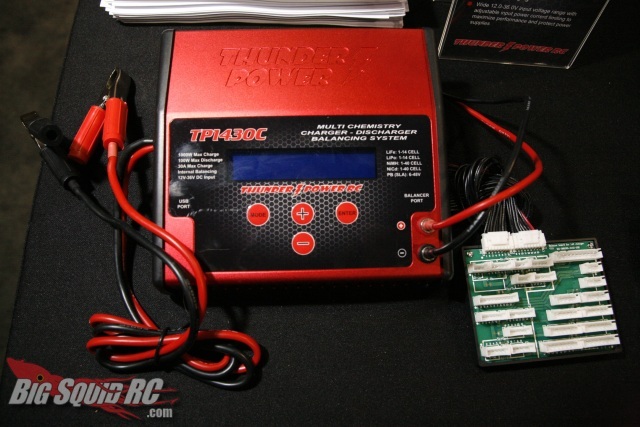 Thunder Power RC is introing their new TP1430C charger. It’s a 1000(!) watt charger that is capable of charging appropriate LiPos at up to 30 amps! It’s not just LiPos though, this thing is a multi chemistry charger, so you can charge all your NiMHs, NiCds, LiFes, and more. They are looking at having this out around the beginning of the new year. Keep an eye on the Thunder Power website for more info.